BREAKING NEWS: Tickets for the 1st annual Taste of the GFA tasting event and fundraiser for FamilyFarmed’s Good Food Accelerator on October 25 are SOLD OUT! Thanks to everyone who has already made the event a success. Good Food News wraps up its pre-event coverage with a profile of Jenny Yang and her Phoenix Bean tofu, a star among the Accelerator’s 35 alumni so far and a participant in the Taste of the GFA event. Yang is a graduate of the first (2014-15) Accelerator cohort. The identities of the businesses in the fifth cohort of the six-month intensive program, which gets under way in November, will be revealed at the Taste of the GFA event. You could say Phoenix Bean Tofu and FamilyFarmed grew up together. In 2002, Jenny Yang bought Phoenix Bean — after years of being a customer of the North Side Chicago business — which then was narrowly focused on serving the city’s Asian markets and restaurants. That was about the time that Sustain, a broad-based environmental advocacy non-profit, was beginning its transition to become FamilyFarmed, with its focus on promoting locally and sustainably produced food. Their paths formally crossed a few years later when Phoenix Bean became a regular exhibitor at FamilyFarmed’s annual Good Food EXPO. Yang then was accepted into the first cohort of FamilyFarmed’s Good Food Accelerator (2014-15), an intensive six-month entrepreneur development program, and has emerged as one of its standout graduates. 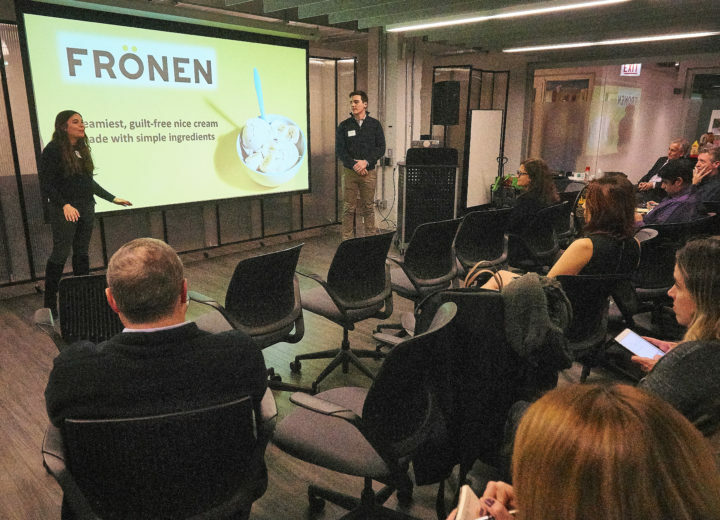 Since joining the Accelerator, Yang greatly expanded Phoenix Bean’s retail presence, which includes placement in all of Whole Foods Market’s Midwest region stores (under the Jenny’s Tofu brand that germinated during her Accelerator Fellowship). This growth has enabled Yang to build out a new kitchen — doubling as a public sales and teaching space — that will take pressure off the tiny storefront factory next door on North Broadway in Chicago’s Edgewater community. But the bigger development is around the corner, in a 10,000 square foot building that previously housed a taxi company. “Through the Good Food Business Accelerator, I was able to work with the [U.S. Small Business Administration] and Chase Bank to acquire the property right down the street,” Yang said, and she also obtained a grant from the U.S. Department of Agriculture’s Local Food Promotion Program to buy new manufacturing equipment for the facility scheduled to open in early 2019. “The 10,000 square feet is what we’re betting on,” Yang said, predicting that sales would grow three- or four-fold over the next four years. Of course, it took a lot of hard work for Phoenix Bean/Jenny’s Tofu to become an overnight success. Yang came to the United States for college, holds a graduate degree from Northwestern University’s Kellogg School of Management, and left a career in corporate finance to become a food entrepreneur. 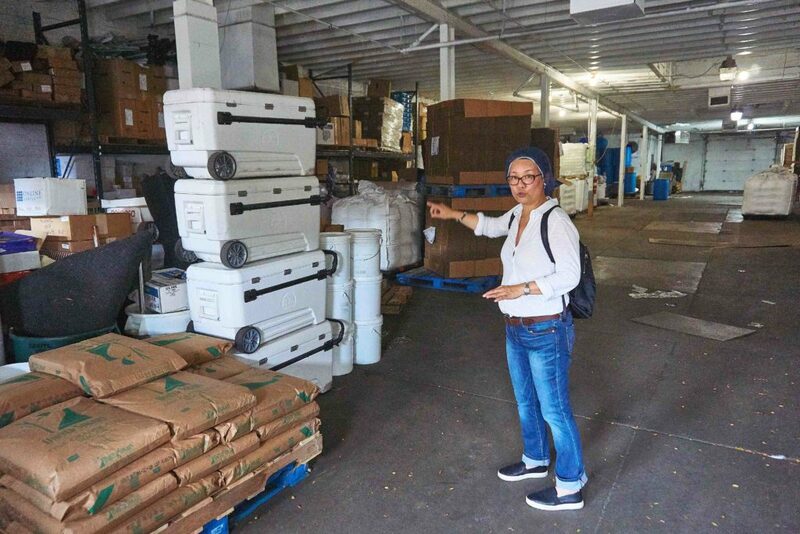 And she said she spent her first few years as owner addressing the wants and needs of the company’s traditional Asian customer base, solidifying that market with the fresh and uniquely flavorful tofu products made in the style of her native Taiwan. The road to a broader consumer base began when the Chamber of Commerce in the neighboring Andersonville neighborhood invited Phoenix Bean to participate in its weekly summer farmers market. It was slow going at first. More than a decade ago, tofu was a very niche product consumed outside the Asian community mainly by those pursuing a vegan lifestyle. “In the beginning, it was just nobody wanted to know us. They walked around us,” Yang said. 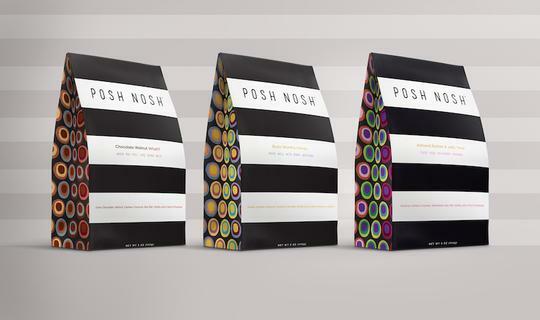 But her introduction of product sampling helped the company attract converts. 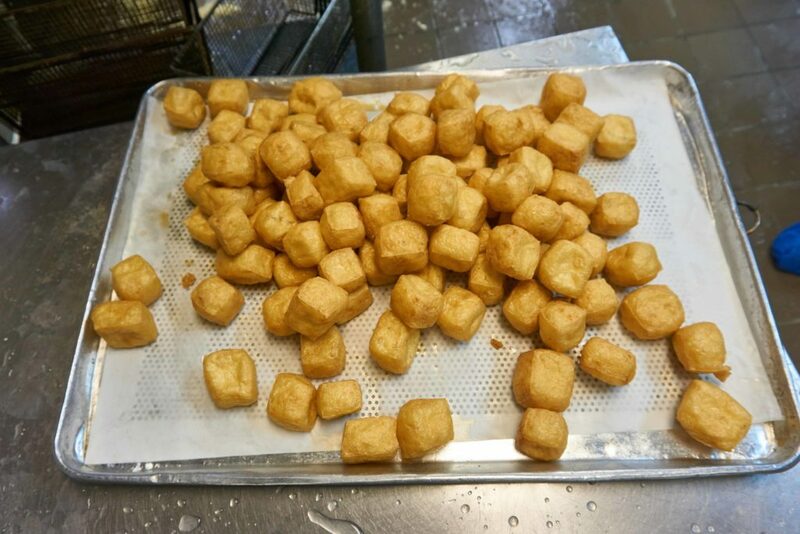 “They wanted to know, ‘What is this?’ ‘How is tofu made?’ ‘Is this made in China?’ Where is the soybean from, they think the soybean’s from China,” Yang recalled. 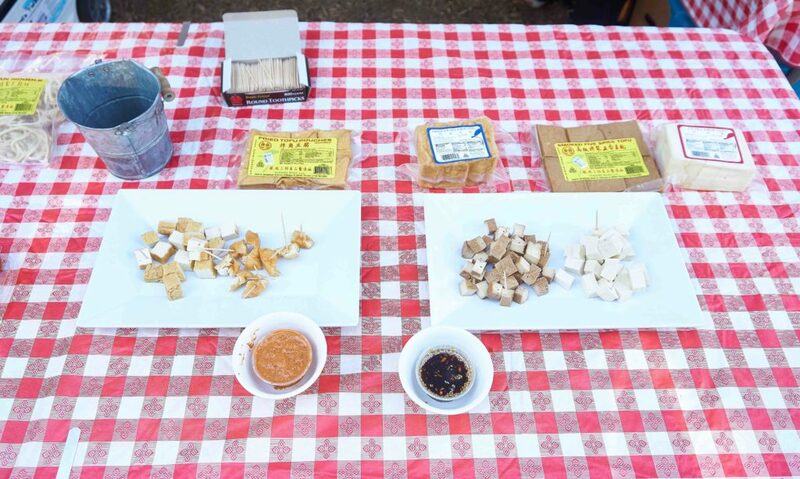 Yang was able to educate consumers on these questions, including the fact that her tofu is made from sustainably produced soybeans grown locally in Illinois. “Step-by-step, we found out what the perception from the general public, they didn’t know about the product,” she said. With direct marketing providing immediate feedback, Phoenix Bean shaped its products and ended up ahead of some of the biggest Good Food trends, such as the rise of plant-based alternatives to meat and dairy (covered recently in a Good Food Insights article written by FamilyFarmed in partnership with SPINS and published by New Hope Network), convenience, and “fresh snacking” (individual-sized portions of refrigerated grab-and-go foods, also the subject of a recent Good Food Insights piece). One big recent development was the introduction of individual cup-sized portions of Jenny’s Tofu’s popular and delicious tofu salads in a variety of flavors, which are being sold in the region’s Whole Foods Market stores and other locations. 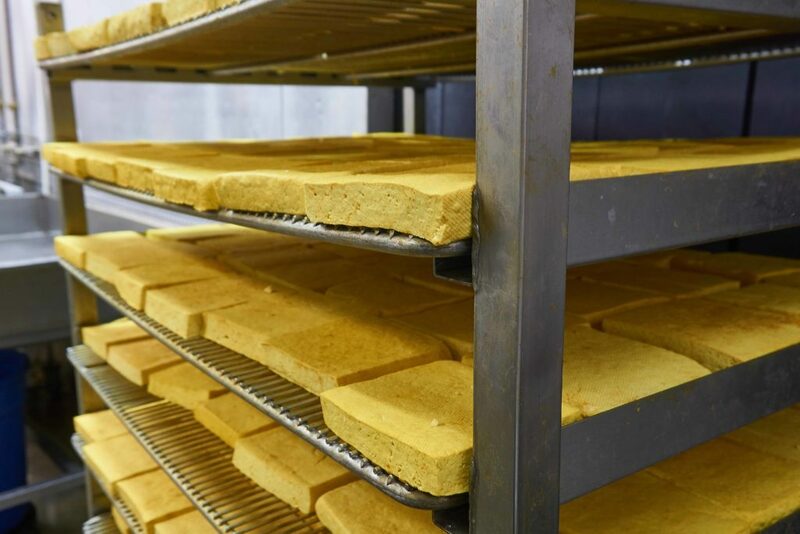 And even as the company and its Jenny’s Tofu line expands in brick-and-mortar markets, it continues to maintain a major presence at farmers markets, including Green City Market, Chicago’s largest. “So it’s because of all the feedback in the direct marketing, farmers market interaction with our customers, we were able to develop the product that the customer likes,” Yang said. 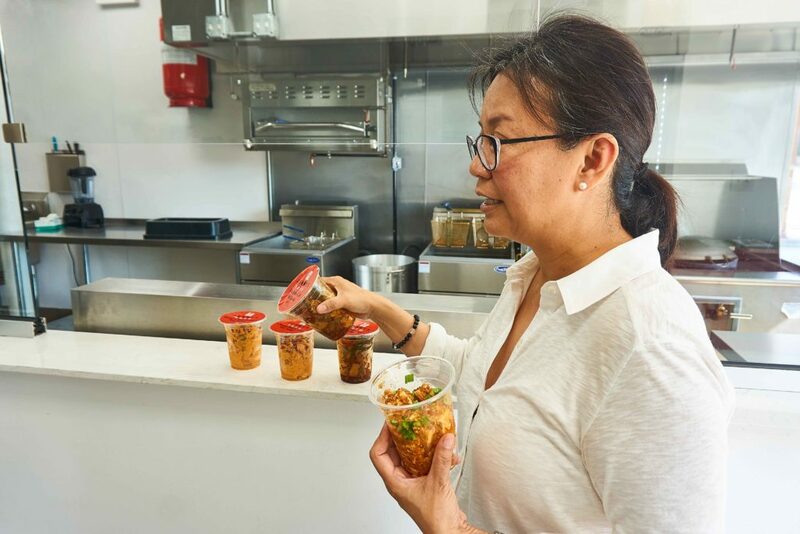 Looking back on the impact that the Good Food Accelerator program has had on her business success, Yang said she is glad she overcame her initial hesitancy. The program requires commitment, including attendance for a full-day curriculum each week for six months at 1871 Chicago, the business incubator located in the Merchandise Mart building. And when Yang was considering applying four years ago, her two children were still very young and she was very hands-on about all of the business’ operations. “Spend a day once a week, the whole day to be there, no way I’ll have so much time,” Yang said. “On the other hand, I told myself, it’s time for me to step back. 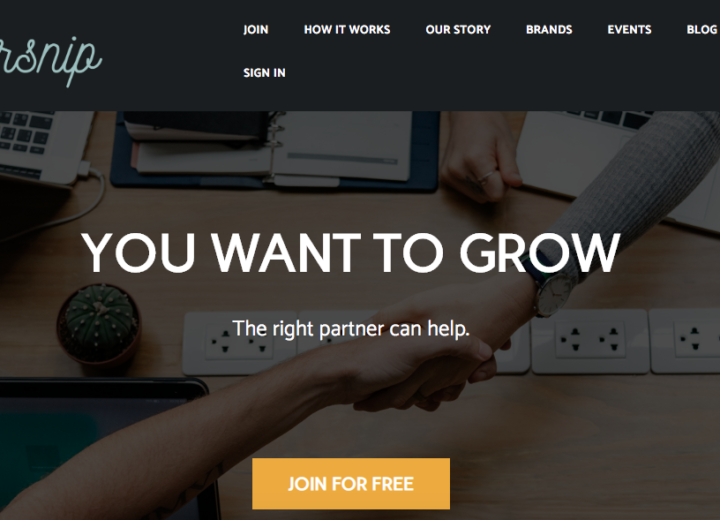 The company has to grow.” She signed up and has never looked back. Good Food News has previously published articles tied to the October 25 Taste of the GFA event, focused on the Good Food Accelerator’s new associate board, participating chefs Won Kim of Kimski restaurant and Alec Sherman of Heritage Restaurant and Caviar Bar, and Flur gluten-free bakery, a 2016 Accelerator grad and Taste of the GFA participant. Please enjoy these stories and check back for post-event coverage — including more chef and business profiles!